Early Bloomer. Five pink/purplish petals, low growing reddish stems. Storksbill-shaped seed pod. 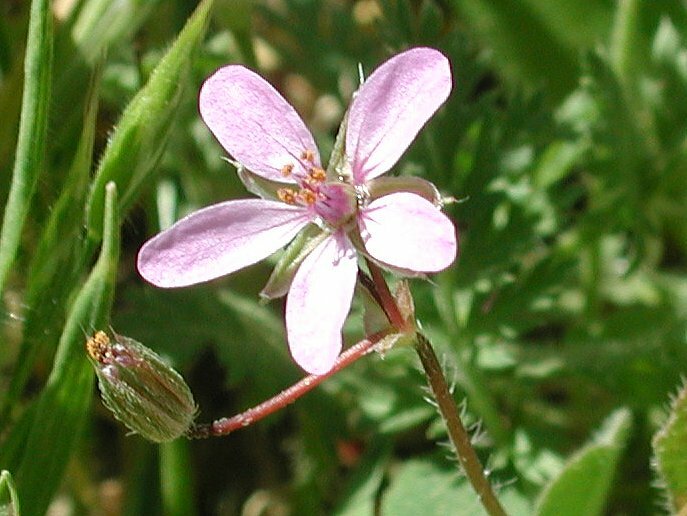 Species Erodium cicutarium (L.) L'Hér. ex Ait.